AR-10 BUILD KITS - DO YOU REALLY WANT AN AR-10? I try to be very forward thinking in how I create and present site content. I try to look at everything through the eyes of someone new to shooting, new to the 308 AR and AR-10 platforms. Visitors would be quite surprised. at how much time and effort goes in to a single page. That said occasionally I miss an opportunity. 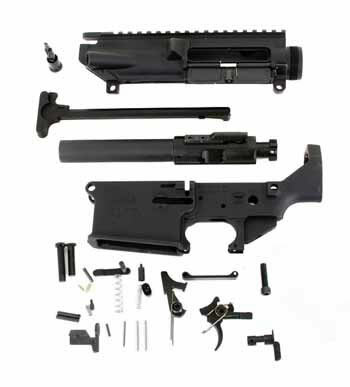 Just such a missed opportunity brings us to the purpose of this page “AR-10 Build Kits“. As it turns out some shooters do not want to understand the compatibility issues they want to order all their AR-10 parts with a single button. My inbox is proof. Unfortunately life isn’t that easy with regards to the AR-10. For starters as I have stated dozens of times the only AR-10 is the Armalite AR-10. AR-10 is a model number of an Armalite rifle. This is why we use the terms 308 AR and AR 308 interchangeably to refer to all the other brands. We got a lot of mail disputing this. Because the AR-10 has the least parts commonality of all the 308’s the term AR-10 should not be used universally. These weapons are not like their AR-15 offspring. Rifle build kits in theory are an easy way for a shooter to purchase parts needed to build either an AR-10 or some form of a 308 AR. Unfortunately these build kits are not always readily available and differ in their completeness. 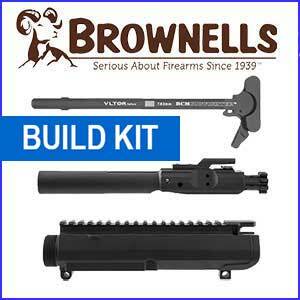 The most basic build kits include the 308 upper and lower receiver, 308 bolt carrier group and a 308 charging handle. Some manufacturers and vendors up the ante by including AR-10/308 AR lower parts kits, some even offer the LPK with upgraded triggers. Then there is resellers who sell entire 308 AR/AR-10 kits in a box that includes everything needed to build a 308 rifle. Below I will comment about these types a kits in further detail. The basic kits as stated above are typically an upper and lower receiver set, matching charging handle and bolt carrier group. I like these kits because they simplify an order. The remainder of the parts needed for a rifle build I would hand select.The decision of lower parts kit, trigger, barrel and handguards is up to me. This is way I save time and money in the long run by having it just the way I want it. Note: When buying from a vendor who is not a manufacturer always make sure the brand of the receivers and bolt carrier group are known, clearly stated from the vendor. The intermediate 308 build kits can also be a great purchase. They will include a 308 upper and lower receiver, 308 bolt carrier group, 308 charging handle and the appropriate lower parts kit. It’s important to note that because their is no standard among these rifles their are differences between manufacturers. A simple example of this would be Aero Precision 308 AR lower receivers. They require a Aero Precision magazine release button which is slightly longer than a standard button. It’s only a $5 part but it can be pretty frustrating to learn you need it 3/4 of the way through your build. The complete rifle kits are as their name implies everything you need to build a 308 AR/AR 308 rifle. Well typically everything except the tools to put them together. These kits include everything from the other kits above but also include a barrel, stock, handguards, pistol grip. They may also include sights, optics and mounts etc. I am not a big fan of this approach and it’s not a knock against folks selling this stuff. They are after all giving shooters what they need. Things I dont like about these kits are that while they often contain some quality name brand items they often also contain unknown and knockoff hardware.Be warned. The other negative is as shooters we tend to not be satifisfied very long and like to swap out and upgrade parts. Buying a complete kit might leave you with a bunch of parts you wish you never bought. As stated above only Armalite 308’s should be referred to as an AR-10.Therefore the only true AR-10 build kit is the GSK10A4. The ARMALITE AR-10 Build it GSK10A4 unfortunately is rarely available for purchase. In fact according to my notes this kit has not been available for purchase since 2013 when Mark Westrom sold Armalite to Strategic Armory Corps. Only time will tell if Strategic Arms Corps/Armalite will ever make this build kit available again. For now this entry serves as a historic reference. If anyone want to provide me with the part numbers for the Armalite parts please pass them along and we will add them.